Dennis is an expert in resiliency, stress management and dealing with change in rural and farm economies. 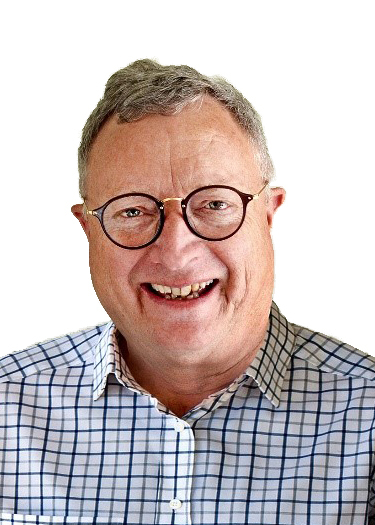 Dennis has over thirty years working in rural environments in Australia, New Zealand and South Africa, places that are no strangers to extreme weather, market and financial risks. Dennis’ main area of expertise and interest is helping people thrive through change by applying his lessons and experience in a practical and pragmatic style – one of his main acknowledged strengths. Dennis’ unique insight into human psychology provides his listeners with highly effective strategies and tools to bounce forward and thrive through change at a personal, team, organizational and community level. In addition to spending time at NCI and the North Dakota State University campus, Hoiberg will be speaking at numerous events throughout the region including Riverland Community College and Minnesota Farm Bureau (Austin and Rochester, MN), the Minnesota Department of Agriculture (Minneapolis, MN), the University of Minnesota Exetension (Sauk Centre, MN), the Resiliency for Ag Teachers Seminar (Fargo, ND) and end with the Prairie Grains Conference and Banquet on December 12th and 13th in Grand Forks, ND. A full list of events can be found below. Hoiberg’s visit is sponsored by AgCountry Financial Services, Minnesota Corn, Minnesota Wheat, and the Minnesota Department of Agriculture. To learn more about Dennis Hoiberg, visit: http://lessonslearntconsulting.com/about-us/.